Here’s another one from @spiritualbeatz of the Loveworld Music & Art Records. 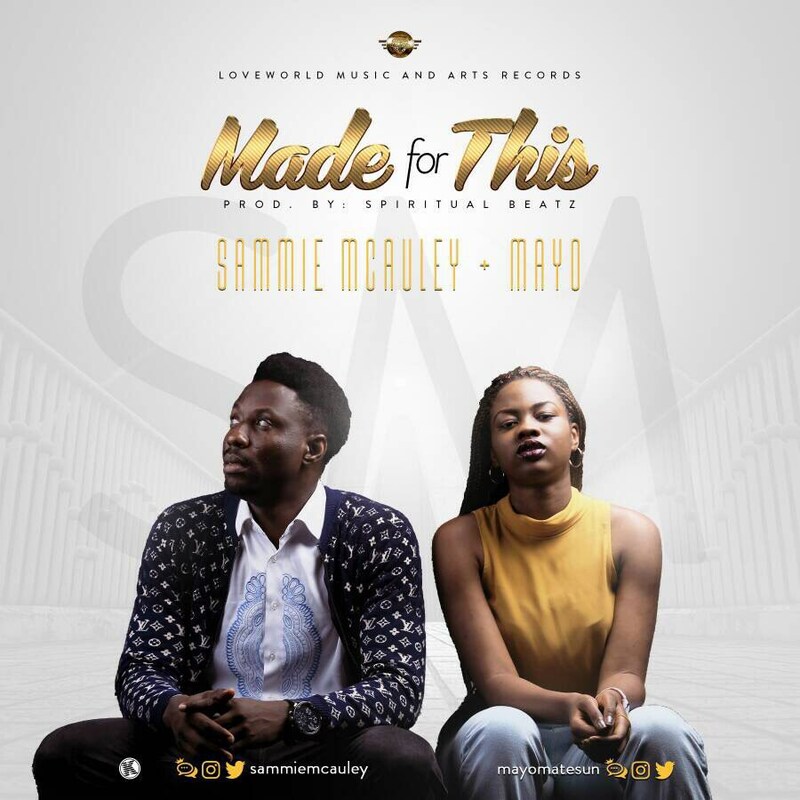 Mayo and Sammie collaborates to bring you this lovely song titled “Made For This”, a fresh & upbeat track that promises to lift your spirit any day! No matter the circumstance, remember that your life is for glory & beauty. This is a song of affirmation for the citizens of Zion all around the world. You were made to flourish; your life was Made For This!